Paris is a great city to visit with a group of students. The sites and the history make it a city like no other. 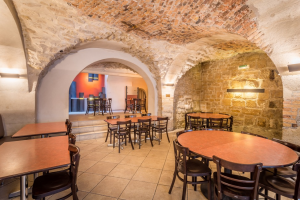 When booking a youth hostel in Paris for a school trip, it can be difficult to know where to begin, that’s why we have put together a list of things to consider when doing so. It is really important to consider where a hostel is before booking it. Being in the wrong location can have a dramatic effect on your trip overall. That’s why before booking you have to think about these three things in regards to what part of the city your hostel is. Attractions – Before searching for a youth hostel in Paris, you should think about what you want your group of students to see. Being near these things can make a huge difference to your trip because you will avoid unnecessary traveling. Public Transport – Paris is a huge city and you want to see as much of it as you can with as little distress as possible. It can really benefit your group to stay somewhere close to one or more public transport line. 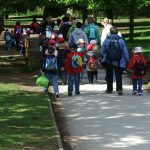 Safety – Staying in a youth hostel in Paris with a group of young students you need to be aware of the surrounding areas. Students often want to go out exploring on their own, sometimes at night. People often hear youth hostel and immediately think of the worst, but the reality is not like this. A Youth Hostel in Paris could be the perfect place for a group of students to stay. As with anywhere though, it is important that you do your research into them to ensure they are clean and safe spaces. Read Comments – It’s important to get a real sense of the place you are considering staying. If you don’t know the place, reading comments and seeing photos can really give you an idea of the environment provided. 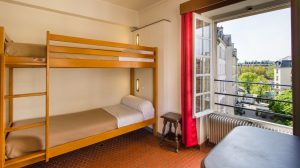 Room Type – Before booking a youth hostel in Paris for your student group, you need to consider whether they will be staying in shared or individual rooms as these vary from place to place. Lockers – Many hostels have places for you to store your belongings when you leave for the day. This can provide you with much more of a sense safety and security when staying in Paris, so you may want to check these facilities before arrival. When choosing a place to stay, please be sure to find out any special rules the hostel has. You really don’t want to have any surprises upon arrival. Check in/out time – This differs from place to place and can have a huge impact on your arrival and departure days. Breakfast – Decide before booking if you plan to eat breakfast in the facility you’re staying or if you want to find somewhere in the city as this may affect where you choose to stay. Communal Spaces – You want to consider whether you want a hostel with a space where the students on your trip can socialize with one another and with other travelers. Curfew – Some hostels have curfew times for guests so make sure you know what these are before arrival as this can have an impact on your groups plans. Age Restrictions – There are many hostels with an age minimum for guests, even when traveling with adults. Make sure you don’t get caught out by these rules. A school trip to Paris is definitely worthwhile and a youth hostel in Paris can be the perfect place to stay. It is important though to know how to find the best place to make the most of your trip which is why it can be helpful to speak with a travel agent before booking. We hope this list of consideration helps you prepare for your upcoming trip. If you are interested in group tours or excursions, check out our website here to learn more about how we can help!